Why tease the readers by holding back the bottom line? Hot on the heels of the flagship SRAM Red eTap AXS debut in February debut, Force eTap AXS essentially does everything for fewer ducats but at a 300gr penalty. But if you want a good grip on the differences between these two wireless electronic gruppos still fresh from the oven, read on. These SRAM eTap groupsets are functionally the same, more or less. 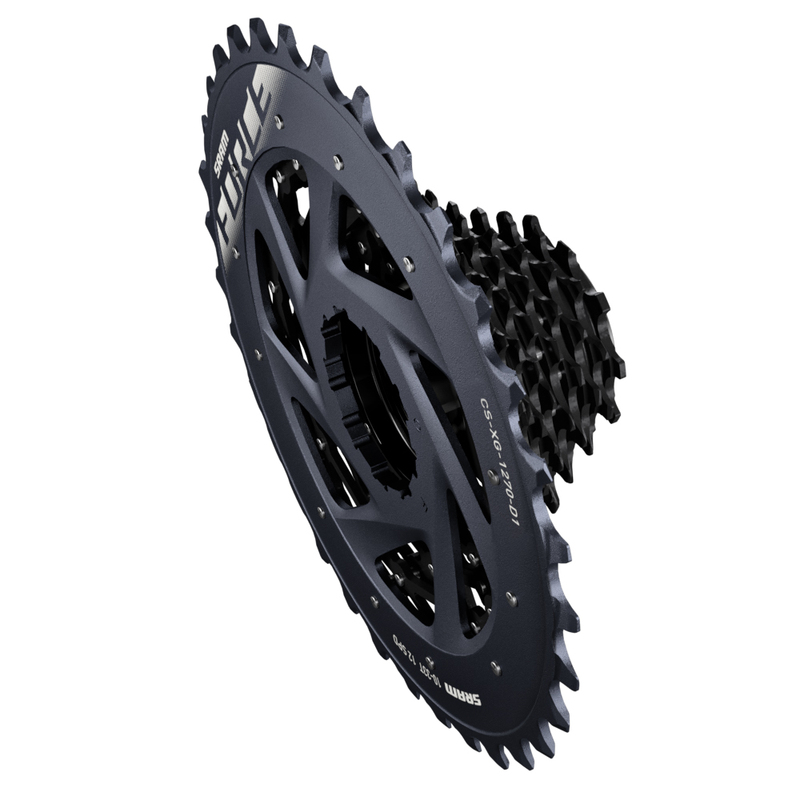 They are both wireless, electronic 12-speed drivetrains with choices of disc or rim brake and 1x or 2x cranksets. The derailleurs and levers differ in the construction methods and materials. While having the same electronics, Red AXS units has cold-forged aluminium and UD carbon, and Force uses aluminium castings and CFR moulding. The XDR-type cassettes offer the same three range choices, but the Force Mini-cluster rivets each cog into a stack. SRAM elegantly carves Red’s costly X-Dome cassette out of single block of steel and caps it with an aluminium 12th cog. The biggest differences come within the brakes and cranksets. 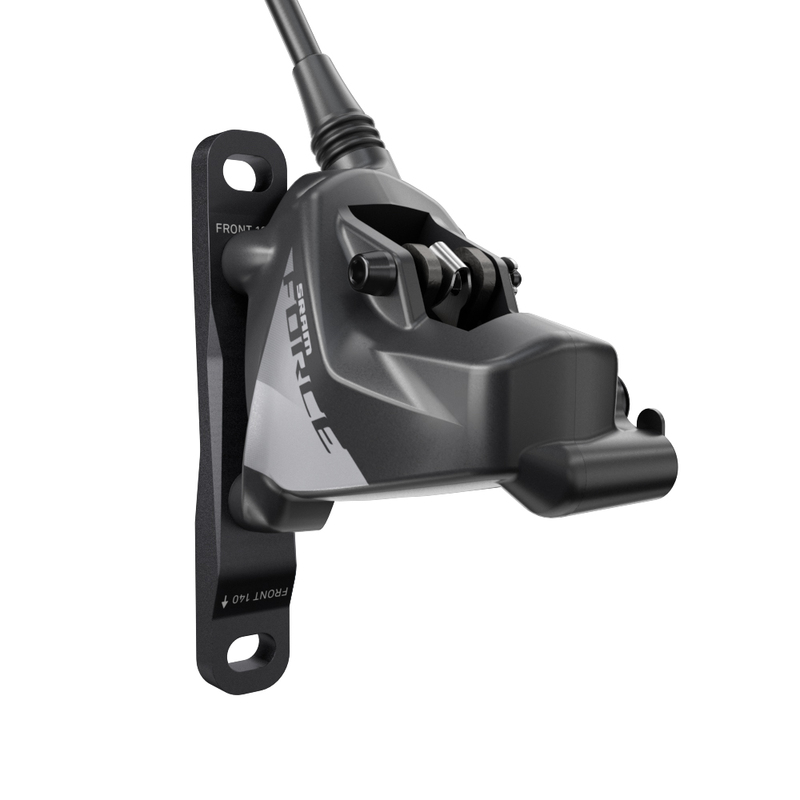 Force AXS flatmount hydraulic caliper. 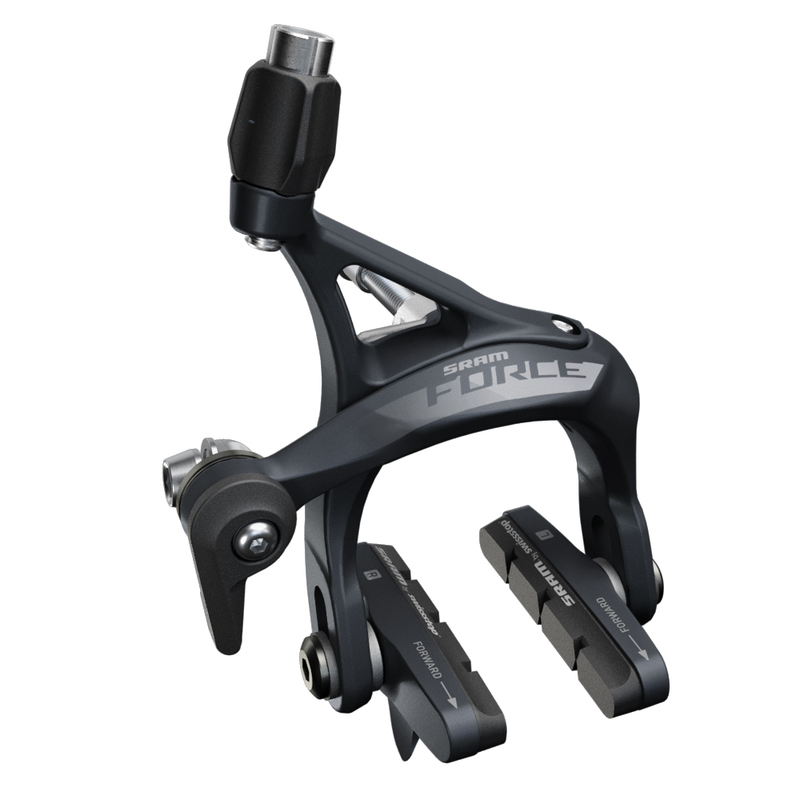 Force eTap AXS rim brake caliper. Short-reach but a little more generous clearances for wider rims and tires in the 28mm range. The Red eTap AXS hydraulic calipers are almost identical to the previous 11sp eTap’s, featuring the Monobloc design in either post or flatmount. Force AXS caliper uses a new design, entirely different from any of the road groups. In fact, it superficially bares closest resemblance to a flatmount version of SRAM’s budget mtb caliper, the Level LT. Both groups use the same disc rotor though. The Force AXS rim brake takes a parallel path by essentially gussying up the same brake arm forgings used in the existing Rival/Apex groupsets, rather than making a cheaper version of the Red’s AeroLink caliper. This move saves Force almost $100 on Red. When it comes to the cranksets, I strongly suspect that the arms featured in both lines are themselves directly derived from the previous 11sp groups. 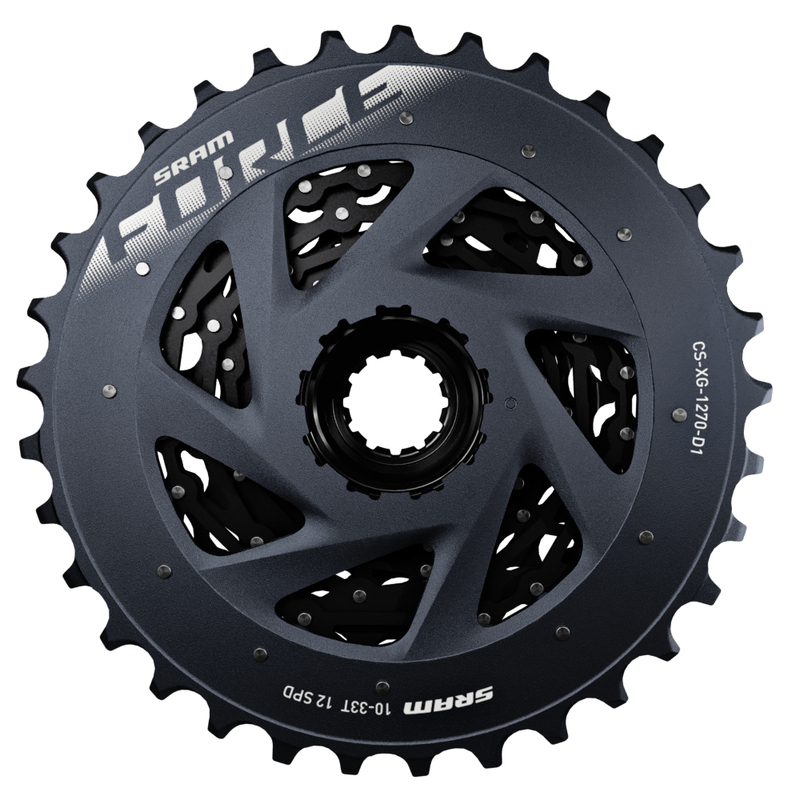 The moulded carbon-fibre crankarms accept modular chainring spiders or DM chainrings, but different from the previous incarnations, the AXS interface uses the same 8-bolt pattern first seen on powermeter cranksets from SRAM’s sub-brand Quarq. 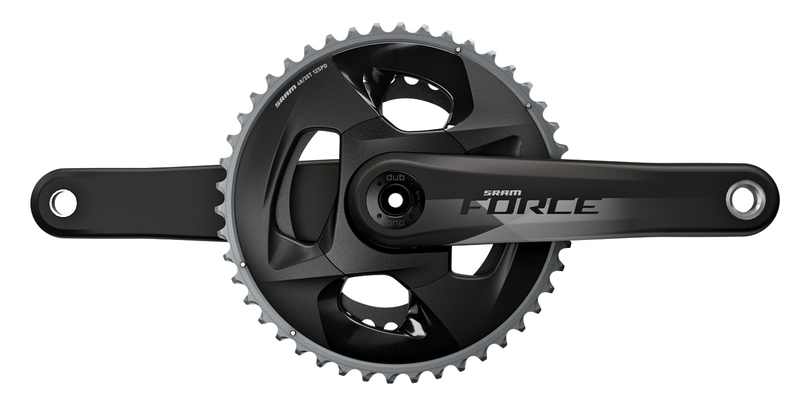 It should come as no surprise that all the Force and Red AXS cranksets can be upgraded with powermeters. There are presumably material differences in the Red and Force crankarm construction that partially explain the $270 difference in cost in the outwardly identical shapes, but the biggest difference comes in the chainrings. SRAM AXS powermeter spider, $599 upgrade. SRAM designed Red AXS with the marginal gains philosophy, so the Red chainring options put lightweight and performance before economy. That means the double chainring sets are formed one-piece. Not only that, but the rings are integrated into the powermeter versions. Wear out the rings, and you’ll need to replace it all as a unit. 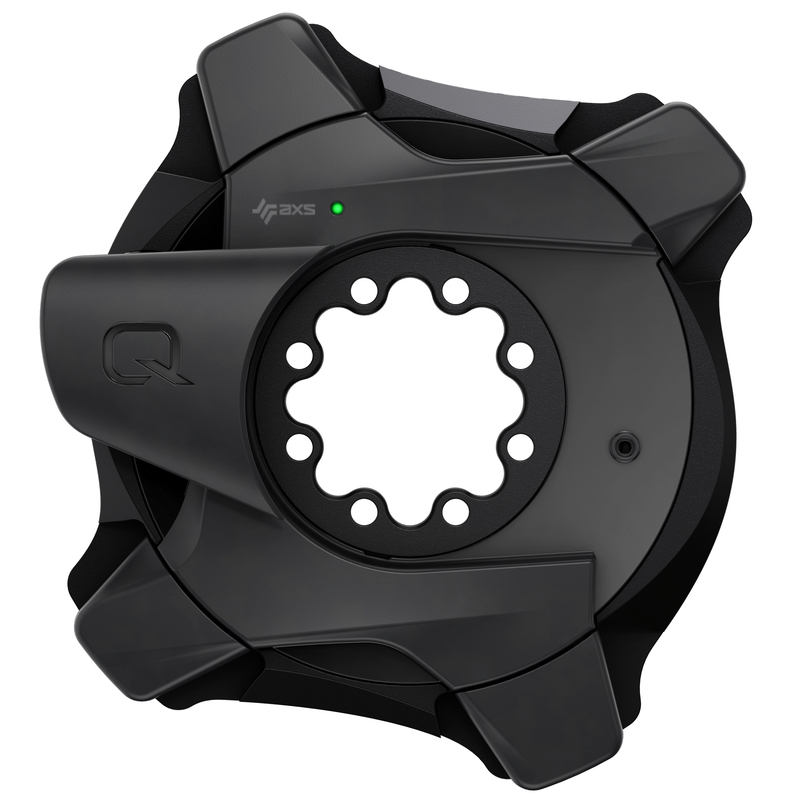 On the other hand, Force AXS cranks allow you to replace the rings individually, including on the $599 powermeter 2x spider available as an upgrade. One other difference: Force AXS cranksets offer a GXP spindle option. Why? Because it turns out that SRAM has not provided for a press-fit DUB bottom bracket that can fit Trek’s BB90 standard, nor have they developed an external bearing BB to fit Italian-thread (either for dimensional limitations and/or cost reasons). In the next couple days, I will continue with a Part 3 to the eTap AXS narrative so I can talk about its possibilities and limitations. And I will probably point out how much I disapprove of the DUB standard.